With the Fujifilm X-T2 release date now upon us, many people want to know how it compares to its predecessor - the Fujifilm X-T1. The X-T1 was originally announced in January 2014, and since then has gained immense popularity and has been the catalyst for many photographers to migrate from DSLRs to mirrorless cameras. Another comparable model is the Fujifilm X-Pro2 which was announced earlier this year in January to widespread acclaim. So, in this article we review the new Fuji X T2, see how it compares to the X-T1 and the X-Pro2, and look at what improvements have been introduced. 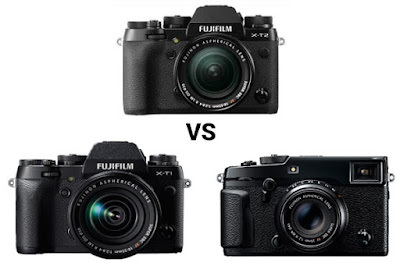 Go straight to our Fujifilm X-T2 comparison specifications table. 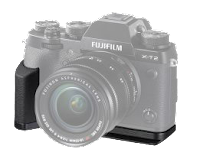 The image sensor on the Fujifilm X-T2 has the same amount of megapixels as that of the X Pro2 at 23.4 MP, and both cameras use the X-Trans CMOS III sensor. This is a significant increase from the 16.3 megapixels found on the X-T1 which uses the X-Trans CMOS II sensor. The CMOS III sensor features a randomised pixel array which minimises moiré and false colors, without using a low-pass filter. Both the Fujifilm X-T2 and X-Pro2 use the X-Processor Pro image processing engine, whereas the X-T1 uses the EXR Processor II. The X-Processor Pro delivers impeccable colour reproduction and tone gradation, with low levels of noise across both still and moving images. 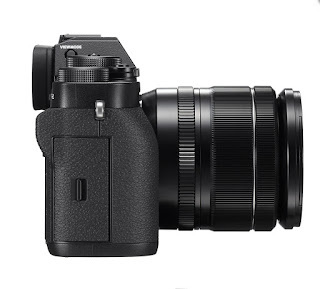 One of the most significant improvements that the X-T2 offers is the inclusion of 4K video capability, which is a first for Fujifilm X-Series cameras. 4K recording isn’t available on the X-T1 and X-Pro2, both of which are limited to 1080p. 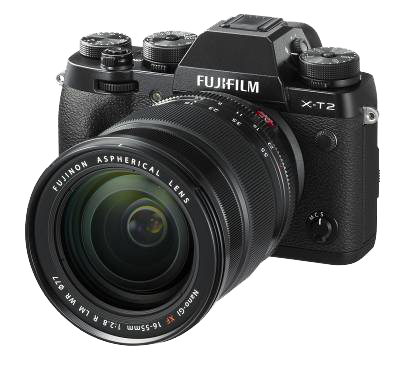 In fact, the X-T2 uses around 1.8 times the amount of information actually needed to produce 4K resolution, and also supports high video bitrate recording of 100Mbps. In addition, it also offers the ‘F-Log’ log-gamma option, which takes advantage of the sensor’s wide dynamic range to record video in wide color gamut, as well as various impressive Film Simulation modes. The range of ISO sensitivity on the X-T2 is the same as that of the Fujifilm XPro2 at 200-12,800, which is expandable to 51,200. The X-T1 ranges from 200-600, expandable to 51,200, so now ISO 12,800 - which was part of the X-T1’s expandable option - is available as a standard option on the X-T2. Although the X-T2 has a pixel count 1.5 times greater than that of the X-T1, the X-T2 and its enhanced signal processing technology have successfully controlled digital noise even further, and the camera performs brilliantly in low-light conditions. Fujifilm have increased the number of focus points on the X-T2 significantly. Where the X-T1 only features 77 focus points and the X-Pro2 has 273, the X-T2 incorporates an impressive 325 focus points. Around 40% of its imaging area contains phase detection autofocus pixels, and the AF-C algorithm has also been improved - so detection and tracking have had a substantial upgrade. You can even choose individual settings for ‘Subject Retention Characteristic’, ‘Acceleration / Deceleration Tracking Characteristic’, and ‘Focus Zone Characteristic’ - or you can select one of five presets that combine specific settings for these three elements. The Fuji X-T2 and X-T1 both incorporate a 1,040k-dot resolution LCD screen, whereas the Fuji XPro2 actually has a higher resolution screen at 1,620k-dots. 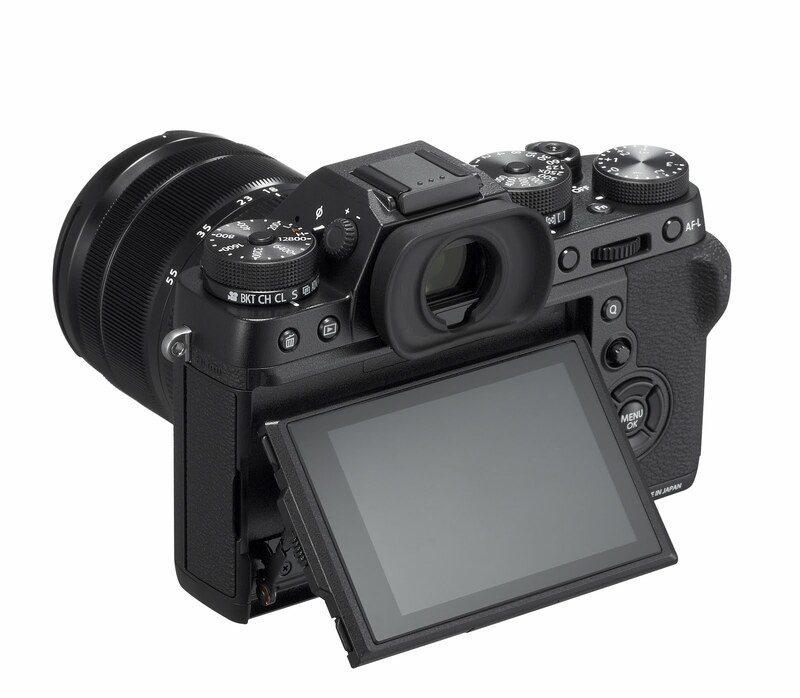 However, the screen on the X-T2 is the first 3-direction tilting display of any X-series camera which tilts up and downwards in landscape mode, and upwards in portrait mode. 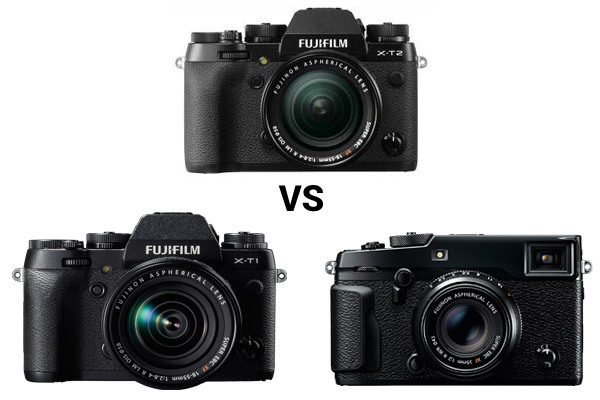 The EVF used in all three of the compact system cameras has the same resolution, but the magnification is higher on both the X-T1 and X-T2 at 0.77x, whereas on the X-Pro2 it is 0.59x. The X-T2 now produces double the maximum brightness of the X-T1, as well as having half the blackout time. This allows for continuous shooting of 5fps in Live View. 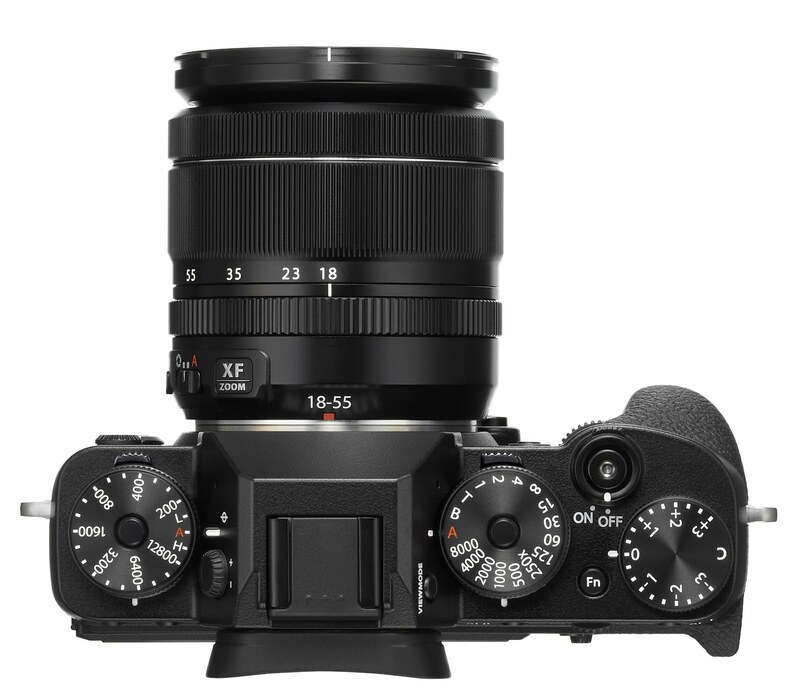 Both the Fuji X-T1 and X-Pro2 offer 8fps continuous shooting, which has been greatly increased on the X-T2 to 14fps with the electronic shutter, 8fps with the mechanical shutter, and 11fps with the mechanical shutter - when fitted with the Fujifilm VPB-XT2 Vertical Power Booster Grip. 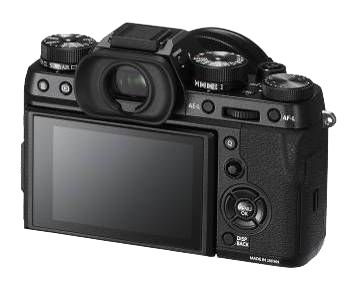 Battery life across all three CSCs is very similar, with the Fujifilm X-T1 and X-Pro2 both offering approximately 350 frames on one charge, and the X-T2 offering 340 frames on one charge. Out of the three cameras, the Fuji X-T1 is the lightest - weighing 440g including the battery and memory card. Next in order of weight is the X-Pro2 at 495g, followed by the X-T2 which is the heaviest of the models at 507g. In terms of size, the X-Pro 2 has the smallest overall volume, measuring 140.5 x 82.8 x 45.9mm. Next up is the X-T1 at 129.0 x 89.8 x 46.7mm. The largest of the three cameras - but not by a great deal - is the new X-T2 which measures 132.5 x 91.8 x 49.2mm. 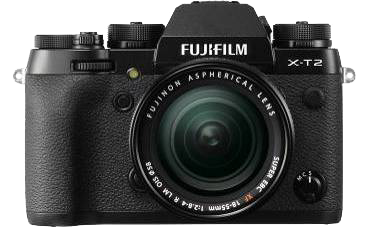 In recent years, Fujifilm have released a series of outstanding cameras, with each successive one giving other leading manufacturers a lot to be concerned about. Where the X-T1 featured the world’s fastest autofocus upon release, and the X Pro 2 offered an innovative hybrid viewfinder, the Fujifilm X-T2 sets a new standard for mirrorless cameras. 4K video capability is a very welcome addition, as is its dramatically improved focusing abilities, and its brilliant Film Simulation functions. Having had a sneak preview of the X-T2, we’re convinced it will be one of the most popular and advanced compact system cameras of the last few years, and even gives more expensive DSLRs a run for their money. 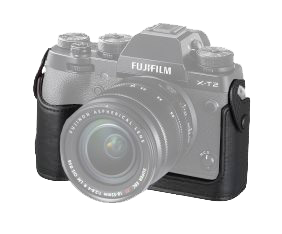 A number of accessories are available for the X-T2, which can be seen on our Fujifilm X-T2 product page. Mike from Park Cameras London had the opportunity to surreptitiously roam around our capital with the X-T2. Take a look at our first hands on review video below! 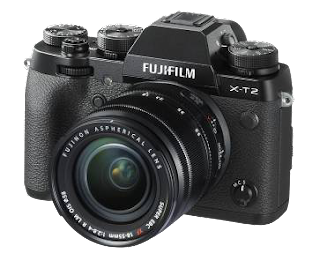 So, if you would like to find out more about the Fujifilm X-T2, please call our expert staff on 01444 23 70 70 or send them an email at sales@parkcameras.com and they will be happy to assist you.